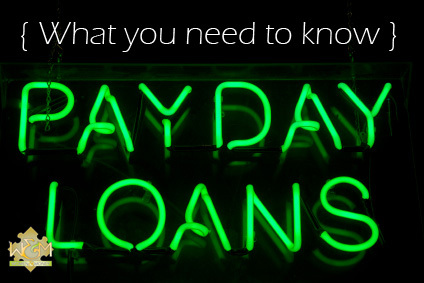 Payday Loans: what you need to know - Women and Money Inc.
What if you can’t repay your payday loan on time? If you can’t pay your payday loan back on time, the payday lender will charge you a penalty, and interest will continue to accrue on the loan. Your financial institution may also charge you a NSF (non-sufficient funds) fee if you didn’t have enough money in your account when the payday lender attempted to cash your cheque or make a withdrawal. The payday lender may begin to call you to try to collect the balance, or they may send your case to a collection agency. Either the lender or a collection agency can sue you, and if successful, they can then seize your property or garnish your wages (automatically take from your paycheque) in order to collect the debt owed. If you apply for a payday loan, make sure you read the loan agreement and fully understand the total cost of the loan, including interest, fees and late payment fees. Never use an online-based payday lender – you will be required to provide your Social Insurance Number and bank account number – and your information could be stolen if the lender’s website has insufficient security, or the lending site could be fraudulently seeking to gather and sell your personal information. This entry was posted in Blog, Debt, Personal Finance. Bookmark the permalink. Both comments and trackbacks are currently closed.